Countries in the OPEC oil cartel have agreed to a new oil output level that effectively increases production by almost 1 million barrels per day. The increase was announced after ministers from the group met on Friday in Vienna. The production increase will partly undo a 1.2 million barrel cut OPEC agreed on in late 2016 that has helped push up the price of oil. Ahead of Friday's meeting, OPEC's largest producer, Saudi Arabia, was seen to be open to higher production but Iran had been hesitant. U.S. President Donald Trump has been calling publicly for the cartel to help lower prices. 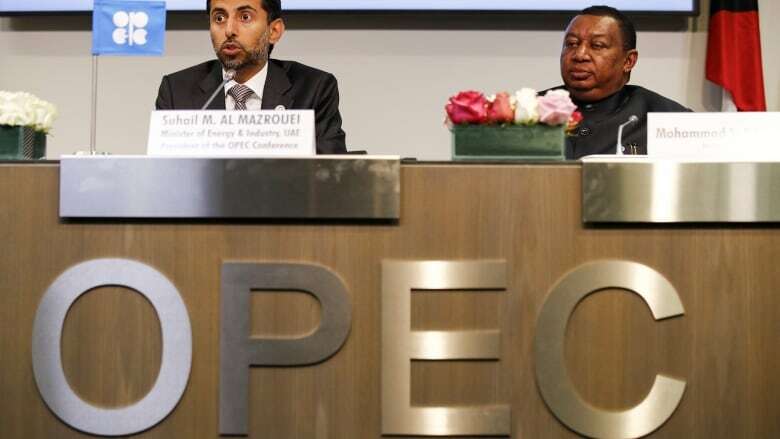 Emirati Energy Minister Suhail al-Mazrouei said the decision was to fully comply with OPEC's self-imposed production limit, and the difference between that and current levels is "a little bit less than 1 million barrels."